Profit Replicator App Review - $1,000,000 on Autopilot? 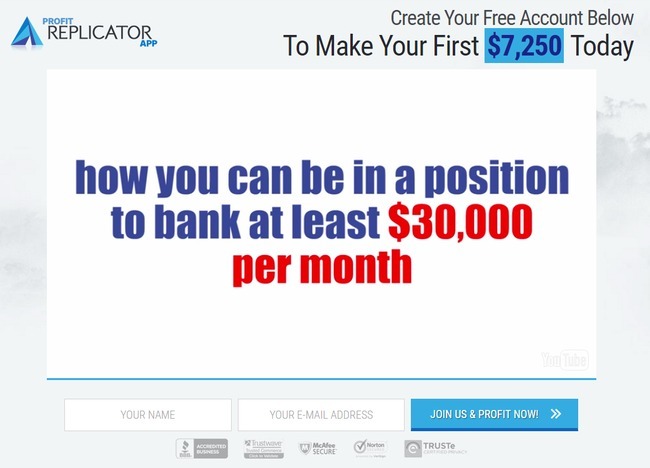 Profit Replicator App Review – $1,000,000 on Autopilot? There are no lack of “million dollar systems” on the internet, and Profit Replicator App is the new kid in the block. Don’t be fooled, as Profit Replicator App is just another binary trading software scam. In this review, I’ll explain why it doesn’t work, how it makes money off you, and most importantly – how to make real money online. Can you really make $30,000 per month on autopilot? Profit Replicator App is another software that thrives on giving exaggerated promises on its profits and potential. I’ve seen hundreds of similar software, and unfortunately none of them performed as advertised. Usually, online scams use fake promises that sound too-good-to-be-true to lure their victims in. If you hear a sales pitch that has literally no downside to it, it’s time to get out of there. Notice how Michael Griffin never got down to explaining how the software really make profits. His presentation revolves around showing profit statements and “member testimonials” (which by the way, can be bought from Fiverr for just $5). Of course, you’ll have to deposit some money to get started, and this is where they get you. Typically, the minimum deposit is at $250. I’m not proud to say that I used to be a victim of SEVERAL binary software scams (yes I was naive enough to fall into the same trap multiple times), so I don’t want my readers to do the same. It can be incredibly tempting to see “opportunities” like this, but they never live up to their hypes. 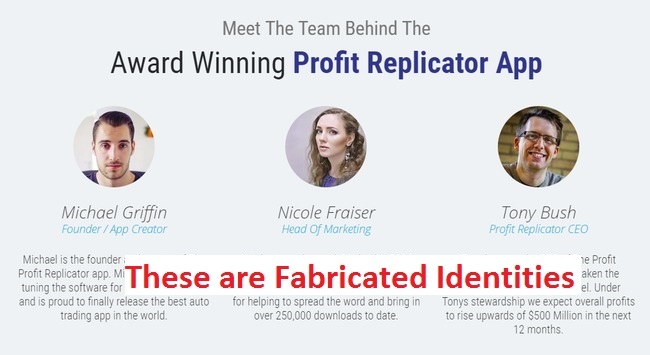 I’ve seen multiple cases of fabricated identities in online scams, and Profit Replicator is no exception. These profiles are fabricated from stolen photos from the internet, in which the original owners don’t even realize their pictures have been abused. “Michael Griffin”, the alleged founder of the software was fabricated using the picture of Jay Boudreaux, which was stolen from LinkedIn. Michael is just an identity created by the scammers to sell the software, and to make the fraud appear more legitimate. On the other hand, “Tony Bush”, the alleged CEO of Profit Replicator was fabricated from a picture of Harraldiq Immanuel, which was stolen from Twitter. In fact, fabricating profiles is not a new trick to online frauds. In a recent scam that I’ve reviewed (The Cash Loophole), stolen pictures were used to fabricate member profiles. How Does Profit Replicator Work? Profit Replicator app is actually an automated trading software that is designed to trade binary options on your behalf. If you haven’t heard of binary options, it’s an extremely risky trading instrument. More than 95% of its traders lose money, and even Forbes warned the public against gambling with binary options. Think of it as a coin-toss game. You need to bet at least $25 for each game, and you have a 50-50 chance of winning it. The thing is, you can only win between $15 to $20 for every $25 that you bet. In other words, even if you manage to win 50% of your trades, you’ll still lose money due to the imbalanced risks to rewards ratio. Sadly, most traders don’t even achieve a 50% win rate. To start trading, you need to have a trading account. When you sign up for an account with Profit Replicator, you are actually registering a trading account with their partnered broker. After opening an account, you will have to deposit at least $250 to start trading. The software will place trades for you automatically, but most of these will be losing trades. The system is designed to favor the brokers. This is why the majority of traders lose all their deposits within 24 hours of signing up to the scam. 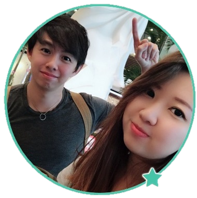 All your losses are pocketed by the broker, which is in turn shared with their partner-in-crime: the scammers behind Profit Replicator App. Even though you don’t need to pay a cent to use the software, your money is actually siphoned away through a series of trading losses. This is why the scammers behind Profit Replicator try so hard to sign you up to their software. They are the ones making profits, not you. PROFIT REPLICATOR IS A SCAM. I strongly advise you to stay away from the scam if you don’t want to lose your hard-earned money.